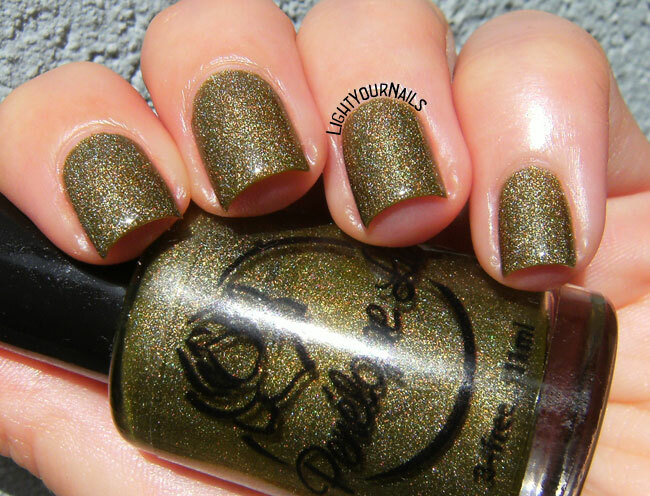 Penelope Luz Daphne | Light Your Nails! Wow, that bronzy sparkle is stunning. This nail polish simply glows. Love the color and the holo effect too! For some reason I use green mostly in Summer, any shade of green! Wow - this is stunning on you and I love the colour! This olive toned brown is beautiful!! I love shades like this. That is a really gorgeous color! I know a lot of bloggers use Seche over holos and I have tried it myself, but I still get that feeling that it doesn't look the same afterwards. That top coat has been in my wishlist forever but it's so expensive over here! I guess I might have to splurge on it sooner or later though!